I’m not ashamed to admit that I’m a total bargain hunter, and with that comes a love of being thrifty. 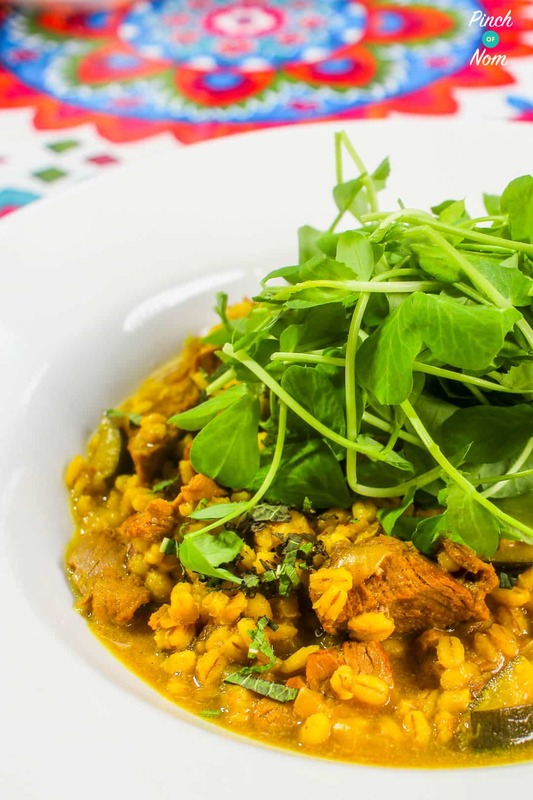 This Low Syn Lamb and Pearl Barley Risotto is thrift on a plate, without compromising on flavour. 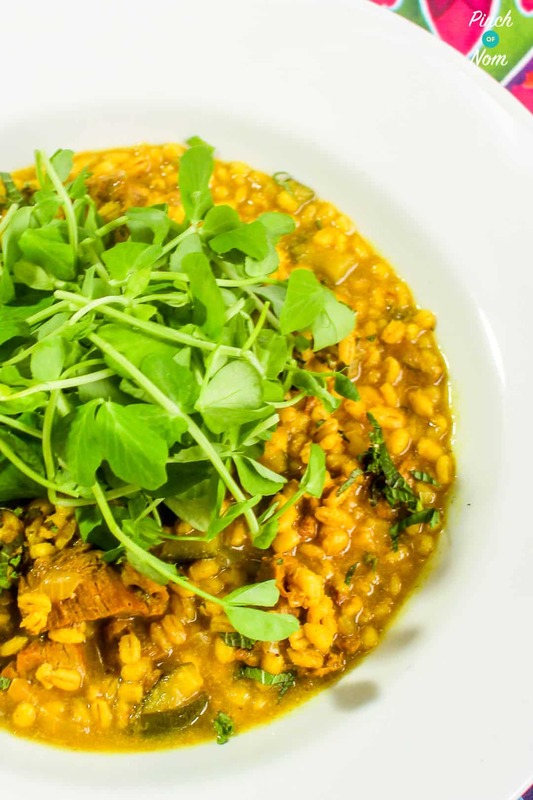 Traditional risotto can be seen as quite a heavy meal for the warmer months, but I’ve found that using pearl barley instead of rice really gives a less dense texture but maintains the creaminess of a rice based dish. You can use any left over lamb for this recipe, just make sure that all visible fat has been removed. 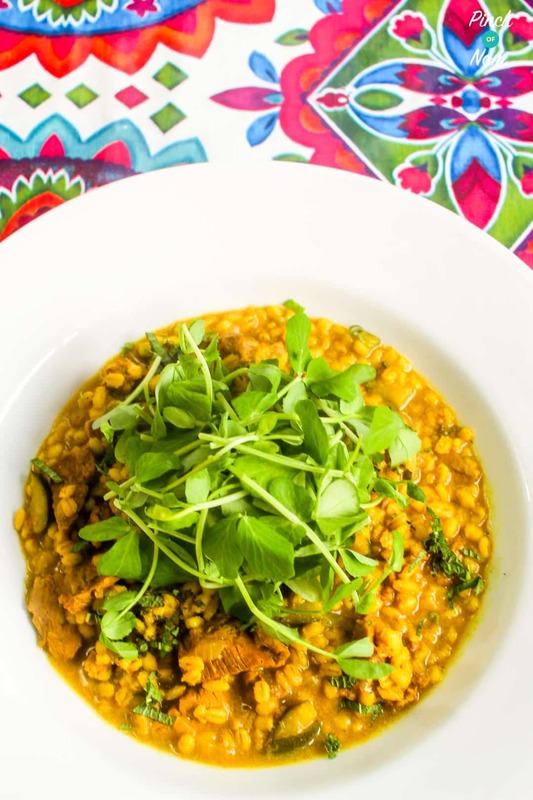 Risotto can be quite labour intensive but thanks to the pearl barley, this can be left to cook on the hob to cook without constant stirring! Whenever we need to replace oil in cooking we use Frylight. Perfect for everyday frying and cooking, it delivers exactly one calorie per spray, which makes it Syn free! 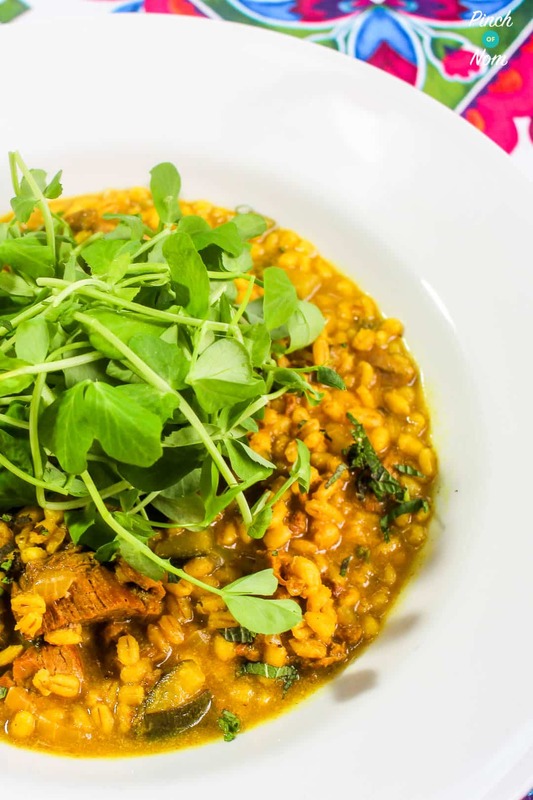 The Sunflower or Rapeseed flavours are ideal for this Low Syn Lamb and Pearl Barley Risotto recipe. Cut the lamb into bite sized pieces and brown for 5 minutes with a little Frylight in a large saucepan. Hope you enjoyed it! It’s one of my faves! Hi, I don’t like coconut in any way shape or form is there any alternative? We’ve only made it with the Alpro Coconut Milk drink, but you could try substituting with almond milk. Just check the Syns and adjust accordingly. Hi do I have to use coconut milk ? The coconut drink adds a real depth of flavour, but you could choose to use lamb or vegetable stock if you’d prefer.